Today, Monstat has released the first results of the April 2011 census. It’s census year around world and also in the Balkans, which will mean a new snap-shot of controversial issues such as identity. In a politically charged environment, these are not so much definitive indicators of identities, but subjects of debate and contestation. In Montenegro, there has been an campaign led by different organisations to mobilise citizens to indicate their identity in a particular way. The muftija of Sandzak Zukorlic and the Reis ul Ulema Ceric called on Bosniaks to declare not only their religion as Islam, but also to declare their mothertongue as Bosnian and their identity at Bosniak. Similarly the Croat National Council called on Croat to identify as Croats, being Catholic and speaking Croat. 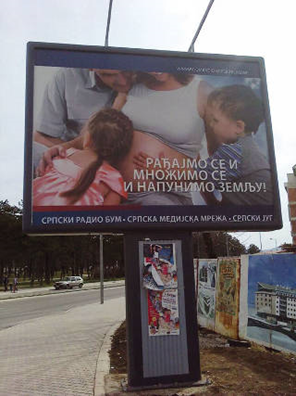 A Serb radio station put up billboards calling on Serbs to have children, to multiply and fill the country. Similarly there were posters calling on citizens to identify as Montenegrins. In brief, there was a proper election campaign of identity. Observers have noted that elections in Bosnia are often a population census. In Montenegro in turn, censuses are elections. So who won? A quick comparison with the result of the last census in 2003 show that the decline of Montenegrin identity since 1981 has been halted and that there is a slight increase. At the same time, number of self-identified Serbs has declined slightly, but again this decline is only by a few percentage points. The number of Bosniaks/Muslims, Croats and Albanians has not really changed significantly. These results suggest a stabilization of the identity categories since 2003. 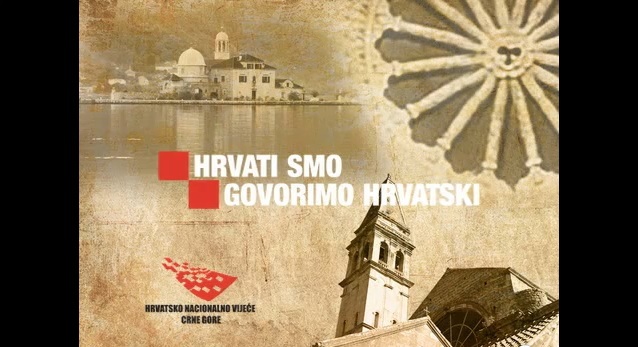 There were dramatic shifts in the previous decade , especially from Montenegrin to Serb identity, caused by the re-definition of Montenegrin identity as endorsing Montenegrin statehood. Despite the creation of an independent Montenegro in 2006, there does not appear a dramatic shift away from Serb identity. What is also telling is the continued divide among Bosniaks and Muslims with around 2/3 identifying as Bosniaks and 1/3 as Muslims (8.65% and 3.31% respectively). It is interesting to note that around 0.8 % of the population indicate a composite identity (such as Montenegrin-Bosniak, Montenegrin-Serb), not a negligible group considering that such combinations are not usually encouraged in censuses. Also 0.19% still identify as Yugoslavs. The fact that identity still does not follow the exact patterns that the nationalist logic dictates is best shown by the mother tongue. Only 36.97% of the population indicate that they speak Montenegrin, 42.88% call their language Serbian, and 5.33% Bosnian. Over 3% call their language Serbo-Croatian, Bosniak, mother tongue or by some other name. These results suggest that a majority of Bosniaks and Muslims don’t consider their mother tongue to be Bosnian, many Montenegrins choose a different language (presumably Serbian) and more than half of Croats don’t speak Croatian. Here, the number of Serb speakers dropped the most, indicating that the campaign of the Montenegrin state to establish Montenegrin as a language has borne fruit. This picture is further complicated by religion where 72.07 % are orthodox, 19.11% indicate Islam or Muslim and 3.44% Catholicism as their religion. Agnostics and Atheists are just above 1.3% of the population. This picture suggests that the congruence of religion, language and national identity is less “perfect” than nationalist engineers of identity would like it to be. At the same time, efforts to subvert these categories have not done so well: the campaign for Montengrins to declare as Jedi or Sith only gathered around 100 followers.